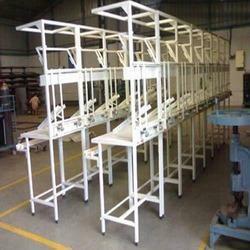 The Flow Rack Workstation provided by us is used to install in various offices. It assures comfortable working environment for the employees. Our team procure only factory-tested raw material in order to manufacture the stations. Our firm offers large as well as diverse range of products includes Custom Workstation. This gamut of products is made of best raw material and latest technology. Easily installed in various offices, our stations are designed as per the specifications detailed by our numerous customers. 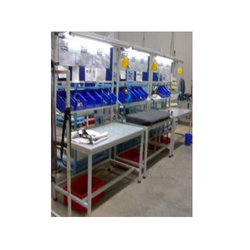 The Assembly Workstation offered by us is manufactured complying with the set norms and regulations of the industry. This range of products is used for working in the offices. We use only quality-approved raw material and components to make the stations in an efficient manner. It can be used in Automobile, laboratory, chemical and mechanical industries. 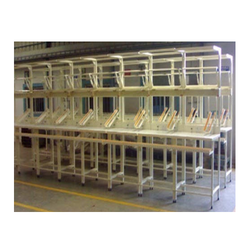 Stainless Steel Assembly Workstation is offered by us cater to the various needs and requirements of our numerous loyal customers. Manufactured as per the latest design of the industry, our stations are examined on the basis of various standard parameters. 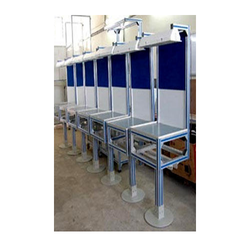 Available with us Fabricated Workstation, which is manufactured complying with the set norms and regulations of the industry. Manufactured using quality-approved raw materials, our workstations are available in various customised designs and sizes. We are one of the trusted names in the industry engaged in manufacturing and supplying a diverse range of Mild Steel Fabricated Workstation. These products are manufactured using the high-quality range of material procured from the well-acknowledged vendors of the industry. The entire array is manufactured in strict adherence to the industry standards and norms. 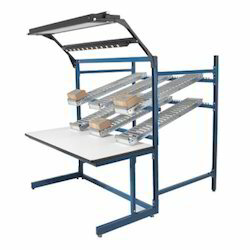 We are widely sought in the market for offering quality-approved Aluminum Extrusion Workstation. Our team procures only quality-approved components and raw material to make the workstations as per the specifications defined by our customers. Used for comfortable working in various conditions, our stations are strictly checked on the basis of various parameters. 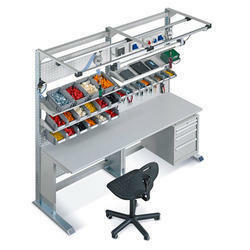 Looking for Industrial Workstation ?